Jaguar's F-Type debuted in '13. DETROIT — Jaguar plans a successor to the F-Type sports car, and it will have an electrified powertrain. Jaguar will not abandon the segment, design chief Ian Callum told Automotive News, a sister publication of Automotive News Europe. 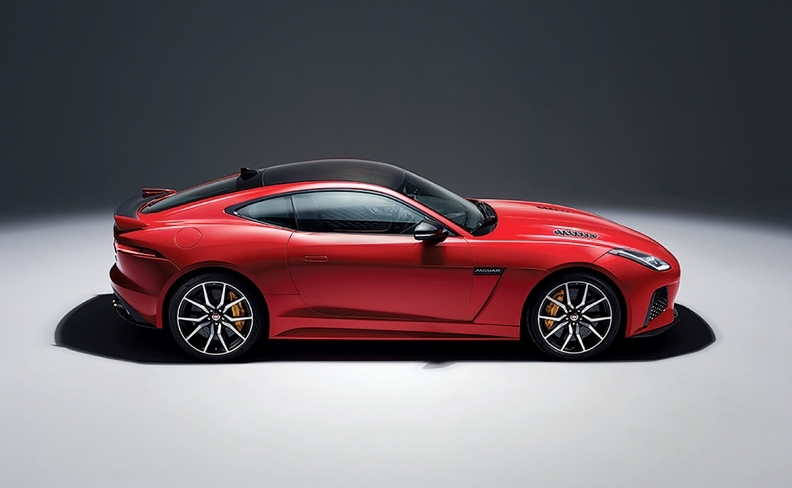 "We will do another range of sports cars eventually," said Callum, who has led Jaguar design since 1999. Sports cars "are not going to go away," he said. The F-Type two-seater, Jaguar's first sports car since the E-Type ended production in 1975, debuted in 2013 and returned Jaguar to a segment that helped define the brand. But sales have been slow with only about 45,000 being sold globally since launch. Through August, Jaguar sold 2,787 F-Types in the U.S., 41 more cars than in the same period a year earlier, according to the Automotive News Data Center. European sales were down 0.5 percent to 2,992 through July, data from JATO Dynamics showed. "There are a number of people in the world who think sports cars are finished because SUVs can get around a corner as quick as a sports car can, technology being what it is," Callum said. "But there is something very emotional about a sports car that conveys the ultimate in the sense of performance and design." For the 2018 model year, Jaguar has given the F-Type a freshening that includes a lower-priced four-cylinder version. The F-Type uses a modified platform inherited from the XK, which debuted in 2005. Callum gave no timing on when the F-Type will be replaced, but Jaguar Land Rover's North America CEO, Joe Eberhardt, confirmed the car will have an electrified powertrain. "Every new car launched after 2020 will have some form of electrification," he said. "That is full electric, plug-in hybrid or mild hybrids."